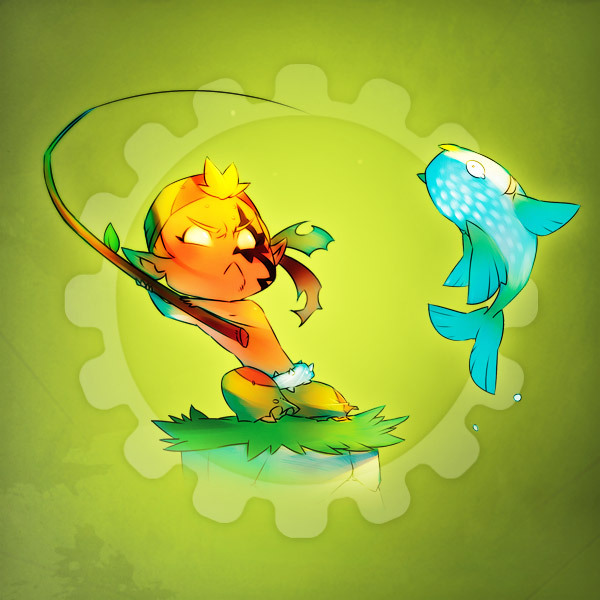 Fisherman - Professions - WAKFU Encyclopedia - WAKFU, The strategic MMORPG with a real environmental and political system. Armed with fishing rods, Fishermen can most often be found on the banks of the sea, lakes and rivers trying to catch fish... or, sometimes, underwater treasure! They can also make hooks that they use to catch specific types of fish.